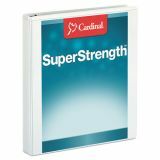 Cardinal SuperStrength ClearVue Locking 3-Ring View Binder, 1" Capacity, Slant-D Ring, White - Presentation binder offers an extra-strong, clear vinyl overlay for easy graphics display. 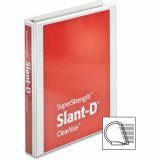 The slant-D locking ring mechanism offers added security. 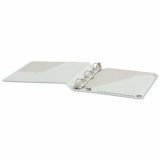 Patented Expand-A-Pocket expands to hold up to 1/2" of material. 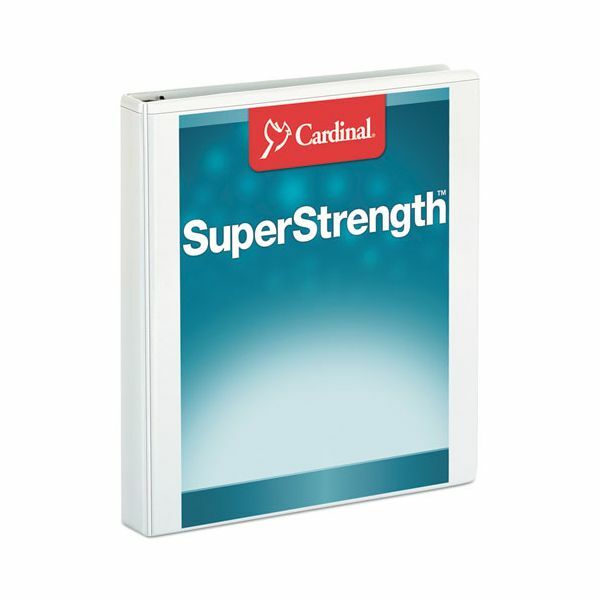 Patented DataGuard pocket is designed to protect contents from damage. 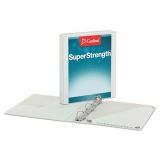 Binder holds 50 percent more than round-ring binders and includes sheet lifters. Made of 44 percent recycled material.